No-one has their vacation in the end of October in Estonia. Everyone's off to holidays in July when the sea is warm and the days are endless and the strawberries are ripe. October over here is cold and damp and dark - not exactly one's holiday dream. But the things turned out the way they did - I. was on holiday during the summer and then he attended the GC in Texas which meant that I had to be in the office and work. So the only option for me was to take my weeks off in October and November. First it made me sad. This can't possibly be a real vacation! What am I suppose to do? Where to go? I thought about going to Newbold again but then I was like, It's not like anyone's actually waiting for me there. So I dismissed this plan. Then I called a good friend and asked her if she had time to go on a trip to somewhere warm with me. But in the end the dates didn't suit her so we had to cancel those plans as well. It looked very much like I was going to be stuck in Estonia. But then I changed my mind. I made a decision - I am going to prove myself and everyone else that one can have a good vacation and enjoy it to the fullest. Even in Estonia. Even in the end of October. Even without a good friend to travel with me. To those who've contacted me over the past days and asked about my health - a big thank you! I'm not well yet but I'm feeling much better. I've been able so sleep again. And although my mind is still fragile and my body exhausted, it does look like the worst is over. I think after the week in the lake house I'll be back in business. Some good mood music - Hozier's Someone New. Dr A. N. waved me goodbye this morning and went back to the UK. I had looked forward to her coming for months so I was so glad and relieved when last Tuesday morning we finally met. 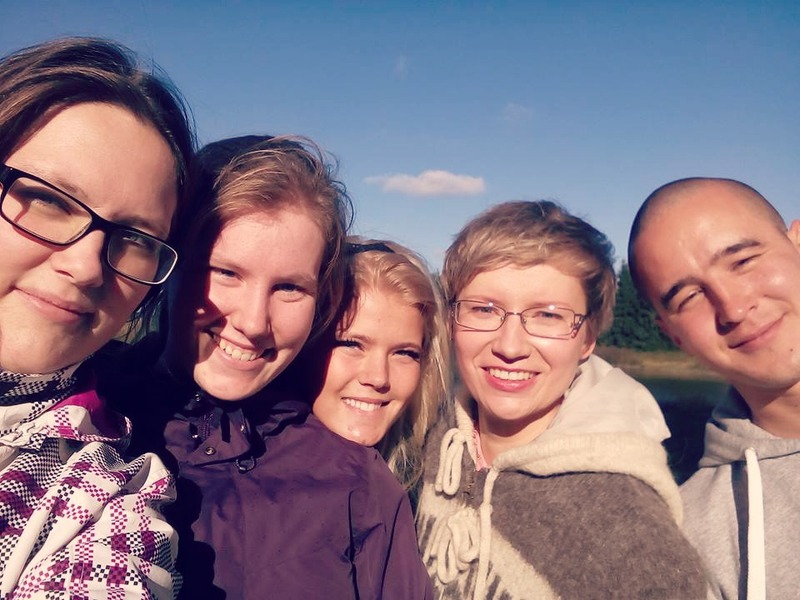 It was only her second ever visit to Estonia so we got down to business right away - we had so much to talk about, so much to see in the Old Town, so many chocolate cakes to consume, so many books to discuss, so many PowerPoint slides to translate into Estonian. It is a wonderful thing to spend real quality time with one's mentor. A wonderful thing indeed. 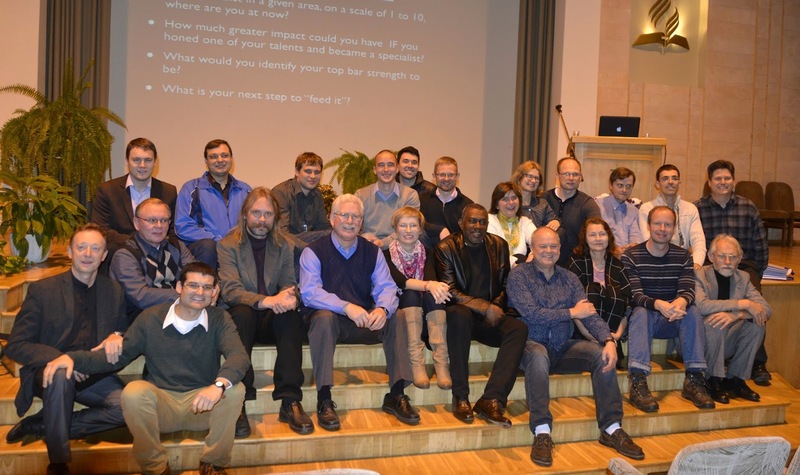 So on Wednesday and Thursday she was lecturing in the Baptist Seminary in Tartu. Our pastors were also invited to the lectures so we spent two intense days discussing inner-biblical hermeneutics and allegory and church history and fundamentalism. Then we took a break on Friday and consumed some more cakes in Cafe Werner, then Saturday and Sunday were filled with lectures to our church members in Tartu church. I almost had a heart attack on Saturday morning the moment I walked into our church lobby. Around 40 people had registered for the weekend seminar but as soon as I walked in I realised there were way more than 40 people who had come. My main concern was whether we'd have enough food for everyone but gladly everything worked out well. We had about 70 people attending the hermeneutics seminar on Saturday - as to our church seminars, it was probably the best attendance ever! So it was a success and a success and a success. And I translated and translated and translated. But still, what a week! I think I'm going through a bit of a blogging crisis. I don't know for sure what has caused it but I have my suspicions. It might be caused by a larger crisis I'm facing (I don't want to admit I'm actually in the middle of it) and it affects my creativity in every possible way (I've also stopped reading books which is even more worrying). Or the other possibility is that I just don't want to complain publicly. Sometimes I get really worried about my studies. Was it the right decision, was it the right time, will I manage, what if I won't? I mentioned it to Dr A. N. the other day we skyped but she didn't want to hear anything about a possibility of quitting. Don't you dare, she said. I don't know. It's all so very complicated. On a brighter note, a lot has been done lately. I turned in my first assignment in Amsterdam. Right now I'm on a bus to Tartu to try and get my next paper done in the Uni's library. A week ago we were in Riga with all our pastors and many lay members at a church planting conference and it turned out to be a success. The last weekend I spent at an ecumenical youth event. Dr A. N. will come to Estonia in a week's time to give lectures to our students and pastors, I'm very much looking forward to it! And today between a meeting too long and me having to catch my bus to Tartu I managed to get most of my sermon for the coming weekend on paper. Yup. It looks like it will be a breakdown. Last weekend with some of my lovely youth. 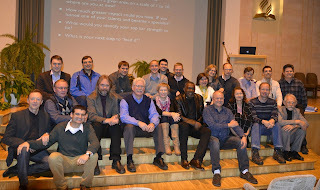 In Riga with our pastors.